Can’t expect a generic phrase such as “Miss India” to be unprotected these days, as the owner of the domain MissIndia.com found out. Registered in 1999, MissIndia.com displays a basic web page about the winner of the 2017 Miss World pageant, Manushi Chhillar – who represented her country as Miss India. The problem is, that the Indian pageant organization operating the Miss India pageant since 1964, took matters to the WIPO. Despite the Respondent’s allegations that the organization holds a different trademark, the panelist was not convinced, ordering the domain MissIndia.com to be transferred to the Complainant. Full details of this decision follow. The Complainants are Bennett, Coleman and Company Limited (“First Complainant”) and Worldwide Media Private Limited of Mumbai, Maharashtra, India, represented by Inttl Advocare, India (“Second Complainant”). The Respondent is Mr. Hubert Louis, Fourways International LLC, of Cypress, Texas, United States of America (“Respondent”). The disputed domain name <missindia.com> (“Disputed Domain Name”) is registered with eNom, Inc. (the “Registrar”). The Complaint was filed with the WIPO Arbitration and Mediation Center (the “Center”) on January 29, 2019. On January 30, 2019, the Center transmitted by email to the Registrar a request for registrar verification in connection with the Disputed Domain Name. On January 31, 2019, the Registrar transmitted by email to the Center its verification response confirming that the Respondent is listed as the registrant and providing the contact details. In response to a notification by the Center that the Complaint was administratively deficient, the Complainants filed an amendment to the Complaint on February 4, 2019. In accordance with the Rules, paragraphs 2 and 4, the Center formally notified the Respondent of the Complaint, and the proceedings commenced on February 5, 2019. In accordance with the Rules, paragraph 5, the due date for Response was February 25, 2019. On February 24, 2019, the Center received a request by the Respondent for a four day extension of the Response due date, pursuant to paragraph 5(b) of the Rules. The Response was filed with the Center on March 1, 2019. The Center appointed John Swinson as the sole panelist in this matter on March 7, 2019. The Panel finds that it was properly constituted. The Panel has submitted the Statement of Acceptance and Declaration of Impartiality and Independence, as required by the Center to ensure compliance with the Rules, paragraph 7. The Complainants are Bennett, Coleman and Company Limited and Worldwide Media Private Limited. The First Complainant was incorporated in 1913 and publishes newspapers, magazines, and periodicals. Since 1964, the First Complainant has run the Miss India beauty pageant. The Second Complainant was incorporated in 2003, and also publishes magazines including Top Gear, Good Homes, Femina, and Grazia. The Complainants host events, summits, symposiums, conferences, fashion shows, and beauty pageants. The Complainants own a number of registered trade marks for, or incorporating, MISS INDIA (the “Trade Mark”). The earliest of these is Indian registered trade mark number 658152 for FEMINA MISS INDIA, registered on September 3, 1995. The Complainants also own a series of Indian registered trade marks for MISS INDIA, registered on May 18, 2013. The Complainants claim common law rights in MISS INDIA due to their continued use of the mark since 1964. The Complainants own a domain name which incorporates the Trade Mark, being <missindia.in>. The Respondent is Hubert Louis, Fourways International LLC. The Respondent registered the Disputed Domain Name on September 8, 1999. The Disputed Domain Name contains a collection of photographs and information about past winners of the “Miss” India pageant. The Complainants make the following submissions. The Disputed Domain Name is confusingly similar to the Trade Mark, as it incorporates the Trade Mark in its entirety. The Complainants own numerous trade marks incorporating MISS INDIA, and also claim common law rights by virtue of their use of the Trade Mark since 1964. The Respondent has no rights or legitimate interests in the Disputed Domain Name. The Respondent has no business connection, approval or consent from the Complainants. The Respondent has no legitimate interests in the Disputed Domain Name and has registered it with the intent for wrongful commercial gain and to misleadingly divert Internet users, trade members, and the public at large.  The website at the Disputed Domain Name allows users to seek subscription. Further, the website at the Disputed Domain Name has been used to advertise popular Indian brands. The Respondent is most likely making profit from these links. The Respondent has registered and is using the Disputed Domain Name in bad faith. The Disputed Domain Name is not confusingly similar to the Trade Mark as the Complainants are known in the industry as “Femina Miss India” (rather than just “Miss India”). The Complainants do not hold any rights in “Miss India” because they have only been using “Femina Miss India” and “Pantallons Femina Miss India”, and not just “Miss India”. The Respondent is making a legitimate noncommercial or fair use of the Disputed Domain Name and has not profited from the website even considering the money from Google Ads. The Disputed Domain Name was purchased with the intention to publish beauty pageants happening around the world and not in bad faith. This Complaint was filed on behalf of two Complainants. Previous panels have permitted a single complaint where the complainants have a “common grievance” against the respondent, as long as it is equitable and procedurally efficient to do so (National Dial A Word Registry Pty Ltd and others v. 1300 Directory Pty Ltd, WIPO Case No. DAU2008-0021; Bettina Liano and Bettina Liano Pty Limited v. Khanh Kim Huynh, WIPO Case No. D2000-0891; NFL Properties, Inc. et al. v. Rusty Rahe, WIPO Case No. D2000-0128). The Panel finds that it is procedurally efficient to permit a single Complaint in this case as the Complainants are related entities. According to the Complaint, the Complainants share ownership of the Trade Mark and operation of the “Miss India” pageants. As such, the Complainants share a common grievance against the Respondent. The Complainants have provided detail regarding a lawsuit filed in 2018 before the High Court of Delhi in which they sought a permanent injunction restraining the Respondent from using the Disputed Domain Name. According to the Complaint, the High Court of Delhi ordered the Disputed Domain Name be transferred to the Complainants, however the Registrar has not done so. Panels generally issue a UDRP decision on the merits even in an overlapping court-UDRP proceeding scenario where, notwithstanding the fact that a UDRP decision would not be binding on the court, the relative expediency of the UDRP versus courts is seen as a benefit to the parties (see section 4.14.2 of the WIPO Overview of WIPO Panel Views on Selected UDRP Questions, Third Edition (“WIPO Overview 3.0”)). In this case, the Complainants have provided copies of the judgments delivered by the High Court of Delhi. Based on the evidence before the Panel, it appears that the Registrar has not complied with the orders of the court. In the circumstances, the Panel finds no reason to defer this proceeding. The Complainants submitted a supplemental filing. The Rules do not expressly provide for additional filings and generally, panels will only accept supplemental filings in “exceptional” circumstances. The Complainants’ supplemental filing predominantly relates to the Complainants being known as MISS INDIA rather than FEMINA MISS INDIA. It also contains details of other legal proceedings initiated by the Complainants in relation to the Trade Mark. This additional information is not material to the Panel’s decision in this case, and does not cause the Panel to reach a different view than that which it reached on the basis of the original Complaint. The Panel declines to accept this supplemental filing. Paragraph 4(a)(i) of the Policy provides that the Complainants must establish that the Disputed Domain Name is identical or confusingly similar to a trade mark in which the Complainants have rights. The Complainants claim common law rights in the Trade Mark by virtue of their use of the Trade Mark in relation to “Miss India” pageants since 1964. The Respondent argues that the Complainants are known by “Femina Miss India” (amongst other terms) and not by “Miss India”. In order to successfully assert common law or unregistered trade mark rights the Complainant must show that MISS INDIA has become a distinctive identifier associated with the Complainant or its goods or services (i.e., that this terms has acquired a secondary meaning) (see e.g. Play Club by Cipriani, S.L. / Giuseppe Cipriani v. Identity Protection Service / Amir Zeb / Eyhab Jumean, WIPO Case No. D2013-1883). Due to the reputation of this brand, the Panel accepts the Complainants submissions that the Complainants have common law rights in the Trade Mark. In this case the Disputed Domain Name is identical to the Trade Mark as it incorporates the Trade Mark in its entirety and no additional terms have been added.  The addition of the generic Top-Level Domain (“gTLD”) “.com” can be discounted for the purposes of establishing whether a disputed domain name is identical or confusingly similar to a trade mark. See Zynga Game Network, Inc. v. Emil Boc, WIPO Case No. D2009-1535. – the Respondent has not been making a legitimate noncommercial or fair use of the Disputed Domain Name, as the Complainants have provided evidence that the Respondent has used the Disputed Domain Name for pay-per-click (“PPC”) advertising, which presumably generates revenue. 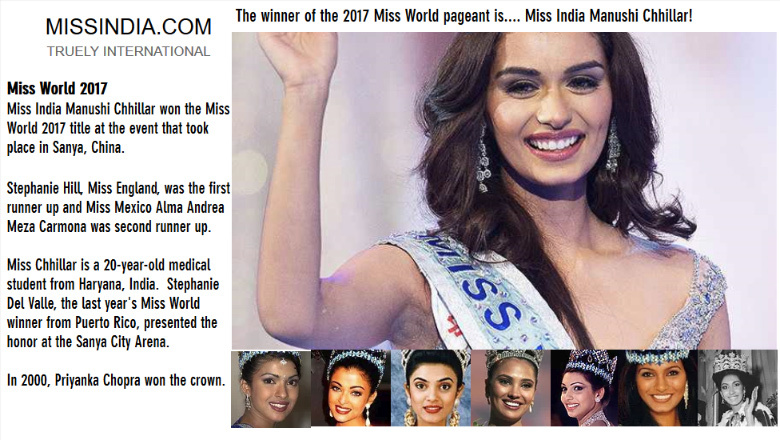 The website at the Disputed Domain Name is a fan site, which displays pictures of past winners of the “Miss India” pageants. For the purposes of assessing fair use under paragraph 4(c)(iii) of the Policy, a fan site must be active, genuinely noncommercial, and clearly distinct from any official complainant site (see section 2.7 of the WIPO Overview 3.0). Previous panels have found that a general right to operate a fan site (even one that is supportive of the trade mark owner) does not necessarily extend to registering or using a domain name that is identical to the complainant’s trade mark, particularly as the domain name may be misunderstood by Internet users as being somehow sponsored or endorsed by the trade mark owner (see section 2.7 of the WIPO Overview 3.0). In such cases, panels have also noted that use of a domain name which is identical to a trade mark prevents the trade mark holder from exercising its rights in the trade mark, and managing its presence on the Internet. In this case the Disputed Domain Name is identical to the Trade Mark and the Respondent has admitted to deriving income from Google Ads. The Panel notes that the website at the Disputed Domain Name includes an “about” section stating “[t]he founder of MISSINDIA.COM is Hubert Louis”. However, the Panel finds that such statement is not clear and sufficiently prominent to avoid confusion by Internet users. Further, the website at the Disputed Domain Name does not clearly state that it is a fan site which is not associated with or endorsed by the Complainants. In the circumstances, this does not amount to a legitimate noncommercial or fair use. The Respondent has not provided sufficient evidence to rebut the prima facie case established by the Complainants. In light of the above, the Complainants succeed on the second element of the Policy. The Respondent registered the Disputed Domain Name in 1999, which is 35 years after the Complainants began operating Miss India pageants and using the Trade Mark. The Complainants’ beauty pageant is well known across the world. The Complainants have demonstrated that they have developed goodwill and brand-recognition in the Trade Mark. The Respondent clearly had knowledge of the Trade Mark at the time of registering the Disputed Domain Name and the Disputed Domain Name is identical to the Trade Mark. In light of this reputation, and based on the evidence provided by the Complainants, the Panel finds that the Respondent registered and is using the Disputed Domain Name in bad faith. The Complainants also provide evidence that the Respondent has used the website at the Disputed Domain Name for PPC links. The Panel considers that the Respondent is intentionally attempting to attract, for commercial gain users to its website by creating a likelihood of confusion with the Trade Mark, which is evidence of bad faith registration and use under paragraph 4(b)(iv) of the Policy. For the foregoing reasons, in accordance with paragraphs 4(i) of the Policy and 15 of the Rules, the Panel orders that the Disputed Domain Name <missindia.com> be transferred to the Complainant.